AMD is releasing some Threadripper info today, mainly speeds and feeds. There wasn’t enough time to do a proper article so SemiAccurate is bringing you the data that we can. There are three Threadripper variants, the $999 16-core 1950X, $799 12-core 1920X, and $549 1900X. All four are two die, 4 DDR4 channel, 64 PCIe3 lane bearing, fully unlocked chips. Unlike Intel, AMD is not neutering needed features to prop up high-end pricing, every Threadripper is fully featured. The lineup looks like this. On the author’s birthday you can get the two higher end Threadrippers with the low-end 8-core following three weeks later on someone else’s birthday. 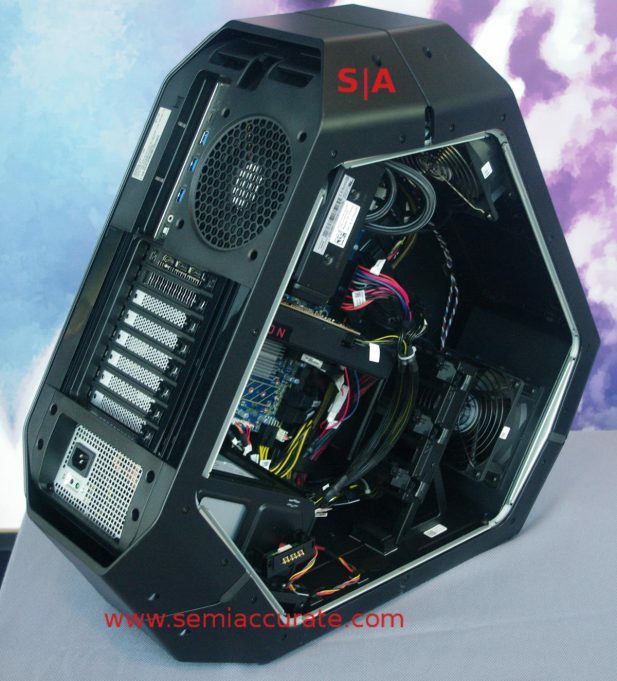 There are a claimed 20 liquid cooling options and five air cooling options. More importantly the box of Threadripper comes with two bonuses, a torque wrench and an adapter for the Asetek water block. This means any Asetek OEM’d cooler on the market should be compatible out of the box. 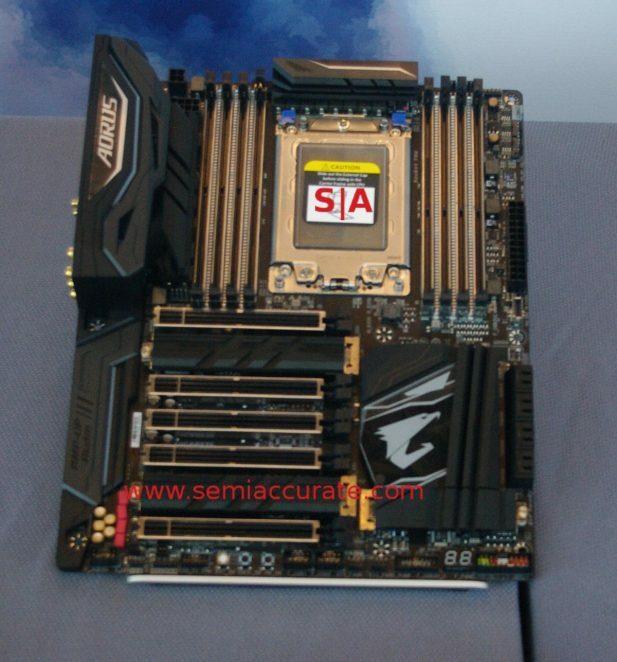 The 180W TDP of Threadripper should have a lot of headroom with any recent Asetek water block. There were six motherboards shown off for Threadripper, the Gigabyte X399 Auros Gaming 7, Asus Prime X399-A, Asus ROG Zenith Extreme, Asrock X399 Taichi, Asrock Fatality X399 Professional Gaming, and the MSI X399 Gaming Pro Carbon AC. All are high-end enthusiast boards with almost everything you can want in a system. Alienware also had their Area-51 Threadripper Edition machine on display for those that don’t want to build their own.